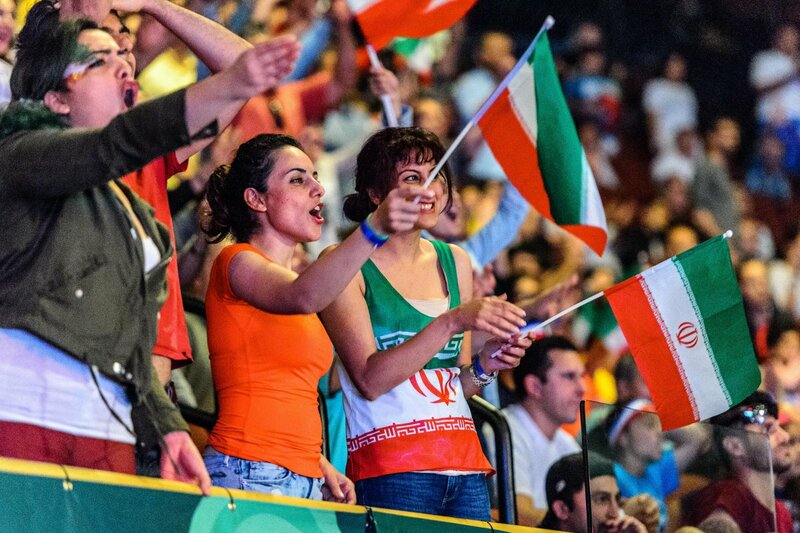 Los Angeles is the undisputed capital of the global Iranian diaspora. Home to a community of at least 700,000 Iranians that dates back more than half a century, no other city can compete with the vibrant and diverse microcosm of Iranian diaspora life hosted by this West Coast city. And it’s not just within the United States that “Tehrangeles” makes its presence felt. LA has been the base of the global Iranian pop culture industry since the 1979 Revolution, when thousands of artists, musicians, and performers fled their homeland amidst political uncertainty and the rise of a government with a hostile attitude toward the pop culture industry. In the years since, Iranian-Americans set up record labels and music halls, and by the 1990s they were beaming satellite television around the world and directly into Iran as well. Although today post-Revolutionary Iran boasts a strong tradition of cinematic, musical, and artistic production, the LA scene continues to be hugely influential in shaping trends across the Iranian global cultural sphere. This includes not only the 75 million Iranians in Iran, but also the estimated 3 million Iranians that have settled in countries as diverse as Sweden, the United Arab Emirates, France, Great Britain, Turkey, Israel, and many others, in addition to the United States. Tehrangeles has emerged into a global brand, and while Tehranto (Toronto), Dubai and other Iranian diaspora centers have sprung up worldwide, Los Angeles’ hold on the global Iranian imagination is unrivalled. That being said, however, Tehrangeles is not the easiest place to visit. Since the 1960s, when Iranian students on government scholarships began choosing to settle in LA instead of returning home, Iranian-Americans have spread across the city’s sprawling urban fabric and built enclaves in a variety of different areas. The 1979 Revolution brought the second big wave of Iranian settlement, followed by tens of thousands more after the end of the 1988 Iran-Iraq War, when many came in search of stability and economic opportunity. Migration has slowly subsided, but thousands continue trying their luck in Los Angeles, joining families and established Iranian communities in their search for a better life. While the oldest and most-established Iranian communities are centered in western Los Angeles – specifically around Westwood and Beverly Hills – today Iranian enclaves are scattered across the city. This piece offers a brief tour of five major Tehrangeles neighborhoods – Westwood, Pico-Robertson, Glendale, Encino, and Irvine – and the tastes, smells, and sounds that make each a unique and important part of the city’s Iranian community. Westwood is by far the most walkable, accessible, and jam-packed of the neighborhoods mentioned, though Pico-Robertson and Glendale are relatively walkable as well. The others, however, should be visited by car. Whether this remains a virtual tour or becomes an itinerary for adventurous travelers, I leave up to the reader. Any Tehrangeles tour by definition begins and ends in Westwood – or, as the w-challenged locals prefer, “Vestvood” – the part of town most synonymous with the Iranian community among Angelenos. Located a few blocks south of the UCLA campus, Westwood is the beating heart of the city’s Iranian community, so much so that the city even declared the area “Persian Square” a few years back. “Persian” is the name of the game around these parts – while in the Persian language no one has any trouble calling themselves “Iranian,” this area is also the stronghold of supporters of the former monarchy and folks around here like to introduce themselves in English as “Perrrrsian” with a purred r (“like the cat”). Westwood Boulevard is chock-a-block with music stores and bookshops offering the latest in Iranian pop, both from the Los Angeles-based industry as well as straight from Tehran. Lessons in sitar or other traditional Iranian instruments are easy to find here, as are clothes, furnishings, and gifts emblazoned with Persian calligraphy and traditional designs. Rugs, of course, are everywhere – but Persian carpet shops are so ubiquitous across Los Angeles that they hardly bear mentioning. At the heart of it all is a big Iranian synagogue, a nod to the fact that LA hosts the largest Iranian Jewish community in the world. Westwood is also the heart of the Iranian culinary scene in LA. Restaurants like Flame, Shahrzad, Shamshiri and others offer the visitor a chance to try any number of delectable Iranian dishes surrounded by Tehrangeles’ finest. 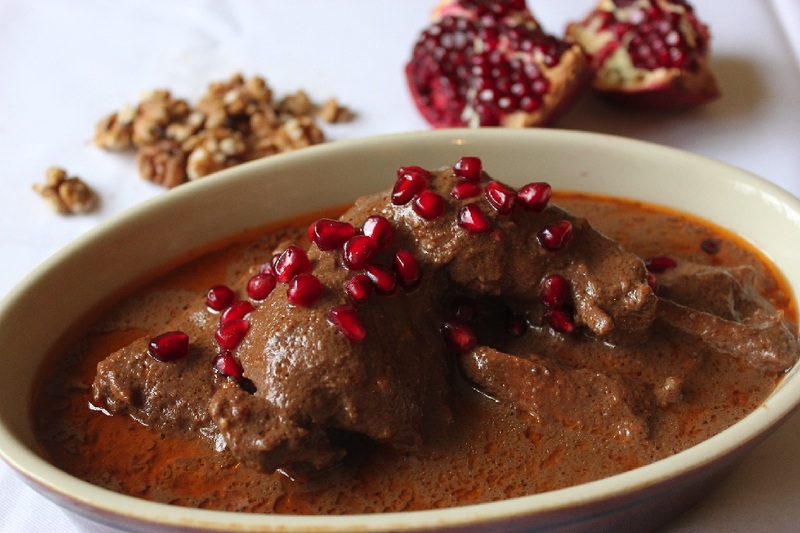 Must tries include Fesenjoon – chicken cooked in a walnut and pomegranate stew that can go either sweet or bitter – as well as staples like beef and chicken kabob, white fish accompanied by lima bean rice, and saffron chicken with sour cherry rice. The strip of restaurants along Westwood Blvd. has the widest and most diverse selection of Iranian food this side of the Caspian Sea. The area is also one of the few places outside of Iran where you can find Iranian fast food, a unique (and, for gastronomic purists, controversial) take on pizza and burgers with only a notional resemblance to either. “Persian pizza,” as they call it, is pan-sized and baked, and best consumed when covered in ketchup, mayonnaise, and a bit of sriracha if you want an extra kick. 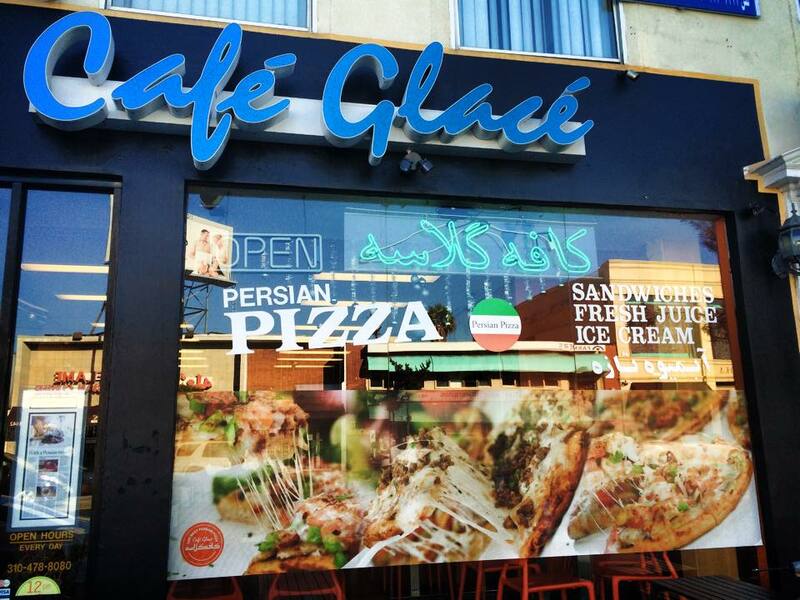 The best place to try it is Cafe Glace. More importantly, Westwood is one of the best places to try Iranian desserts, especially Persian ice cream (bastani). 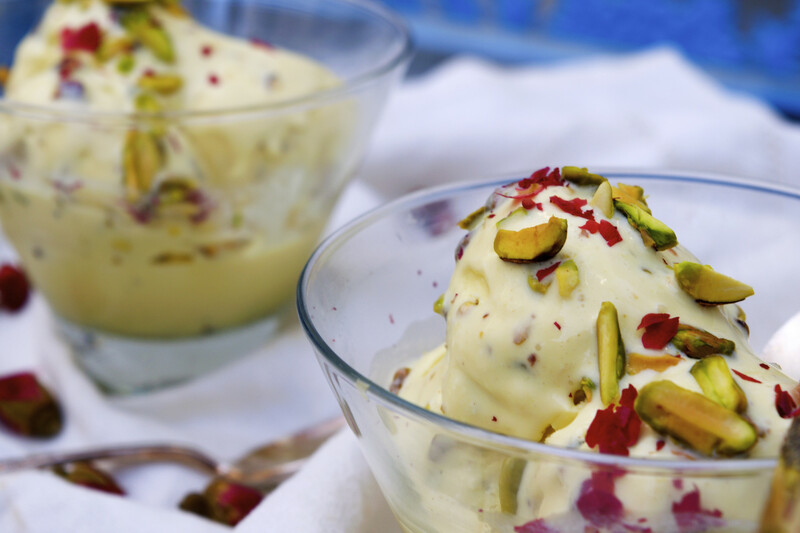 The best flavors are a delicious concoction with a rosewater base mixed with pistachio and clotted cream or carrot ice cream, but many more variations on these themes are available. The best way to eat bastani is squished between two waffle slices as a sandwich. If you’re looking for something sweeter, frozen rosewater noodles called faludeh or fried rosewater and honey balls called bamieh are also options. Westwood Boulevard has an unmistakably rosewater-tinged smell that’s hard to shake. You’ll quickly notice the pictures of Mohammad Reza Shah Pahlavi that dot some of the stores alongside the pre-1979 flag of Iran hanging everywhere. Although this community predates the Revolution, it was the exodus of Iran’s secular, Shah-supporting elite and upper-middle classes that really gave the area its current shape (and spending power). 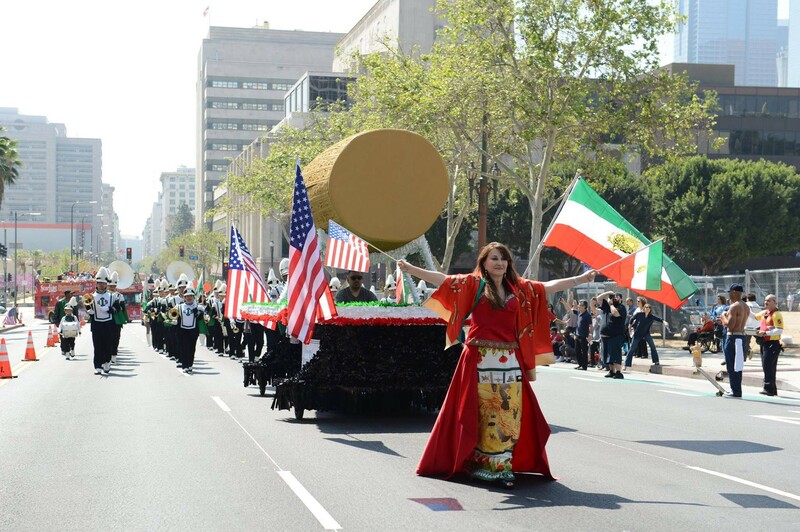 Nearby Beverly Hills is one-fifth Iranian, and the rumor is that Beverly Hills High School – which is one-third Iranian – even makes sure that the yearly Spring Break always coincides with Iranian New Year (Nowruz). 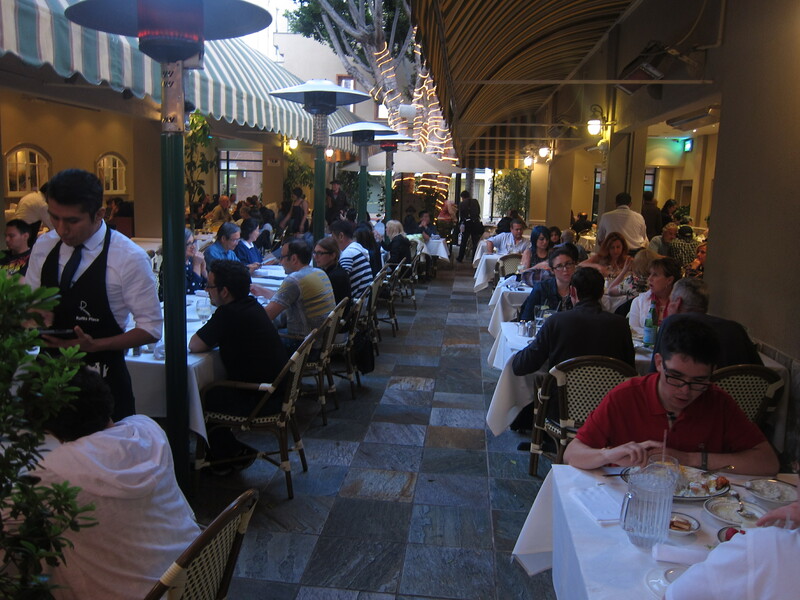 As a result, the area around Westwood has a distinctly moneyed feel. Westwood is a real, lovable place, but you’ll notice quickly that this is also where the Shahs of Sunset stereotype of LA Iranians as rich, pretentious socialites comes closest to the reality – although it is admittedly still for the most part an overblown stereotype! Just a few blocks southeast of Westwood is Pico-Robertson, the heart of Los Angeles’ Orthodox Jewish community. About 80,000 Iranian Jews calls LA home, making up at least 10% of the total Iranian community. Their numbers in LA rival only Tel Aviv, which has around 50,000, and Tehran, which has about 20,000 (though Tehran has, by far, more Persian-language synagogues that both combined). A large number of devout Jewish Iranians calls Pico-Robertson or the surrounding neighborhoods home, and this is where anyone looking for Kosher Iranian food will find the greatest selection in the city. Eastern European, Russian, and Middle Eastern foods compete for space with a huge number of Kosher-certified Persian delicacies on the supermarket aisles (Elat Supermarket has the best selection), and the supermarket notice boards offer word of women-only concerts targeting Orthodox Iranian women for those interested. There’s also Kabab Mahaleh, a Jewish Iranian kabab restaurant that keeps kosher. Here, Jewish Iranians have blended into the mainstream – in this case, the larger US Orthodox Jewish community – in a way they haven’t elsewhere, where by and large Iranians of all faiths – and a large number of atheists – downplay differences of religious affiliation but stick together against the broader urge to assimilate to life in the US. For that reason, it’s an interesting stop for an alternative idea of Iranian diaspora life that in some ways resembles Jewish life in Tehran and Jerusalem more than it resembles nearby Westwood. North of downtown Los Angeles, Glendale is the heart of the city’s vast Armenian community. Here Armenians from the Republic of Armenia and Russia rub shoulders with Armenians from Iran as well as Lebanon, Palestine, Iraq, and Syria, and the Armenian diaspora world that formed here is uniquely Los Angeles in its ability to unite Armenians from across the Middle East and Eastern Europe into a single postal code, something never accomplished anywhere else. At least 50,000 Glendale Armenians trace their roots to Iran, and on the streets you’ll hear a lot of Armenian mixed with Persian alongside Russian, Turkish, Arabic, and – this being Los Angeles – Spanish. The heart of Iranian-Armenian Los Angeles is Raffi’s, a garden restaurant in downtown Glendale famous for its delectable kabobs and congenial atmosphere, a uniting culinary monument for those Iranians from the San Fernando Valley that don’t dare brave the LA traffic to visit Westwood and points further south. Traffic or no traffic, Raffi’s is a standout for any Tehrangeles tourist. Also, Nersses Vanak is a great place to get another speciality of the region: known as dizi, or abgoosht. This dish is a thick mutton soup, but it’s served in a unique way: you mash it together into a paste and then eat it with bread. It’s hard to find outside Iran, so enjoy it here! North of the Santa Monica Mountains sits the San Fernando Valley, and at its heart are the heavily-Iranian neighborhoods of Encino, Tarzana, and Woodland Hills. Less walkable than the areas mentioned so far, the Iranian influence here is noticeable in the big Persian-language signs that cover many a strip mall and the advertisements for restaurants specializing in kabob. Encino is a congenial mix of Iranians, Armenians (Iranian and otherwise), Russians, Israelis, and many more, all of whom cluster along Ventura Boulevard with their distinct scripts mixing freely on local signage. If you make it all the way out to the Valley, there are two major landmarks worth a visit. First is Woodland Hills Market (i.e. “Voodland Heelz Market”), a big supermarket with a kabob stand inside and a dazzling array of “Made in USA” Persian delicacies. Advertisements for Persian concerts cover the walls and there’s a ticket counter built into the market that is an exclusive vending point for the hottest in LA Iranian pop music. The selection of Iranian flat breads here is top-notch, with deliciously soft barbari and lavash cooked fresh on the premises. Across the street, meanwhile, is a row of Iranian cafes, restaurants, smoothie shops, and ice cream parlors, all of which reflect the latest culinary trends in Iran (in comparison to the more “traditional” version of Iranian fare elsewhere in the city). The second must-see is “The Spot” (called “Yaran” in Persian), a large outdoor waterpipe (i.e. shisha i.e. hookah i.e. ghelyoon) café replete with Persian takht, large beds that smokers sit on cross-legged and stretch out along as the night grows late that are common in Iran but hard to find stateside. Here, the cool Iranian Valley crowd hangs out until 2 AM, mixed in with Russians, Armenians, Latinos, and the rest of the cultural mélange that defines Valley Iranian life. There’s even a bouncer at the front, and the wait list can reach two hours on a typical evening. Lazing away the intense Valley heat during lunch might be a better bet for those less inclined to see and be seen. The Valley is full of Iranian hookah joints, but this place is definitely the best in the city. Westwood Iranians, meanwhile, may point to their own row of waterpipe cafes in Westwood Village, but Valley Iranians will scoff and point out they’re all owned by Arabs – before crying, “and The Spot has plenty of parking!” which is the equivalent of “checkmate” in LA dialect. Finally, there is Beryani Esfahani, aka the “It’s All Good House of Kabob”. This place is the best place to get the Isfahani specialty Beryani on the weekends (different from the South Asian “biryani,” although they’re related). In this case, beryani refers to a special sort of flat ground beef patty, served in a piece of bread. 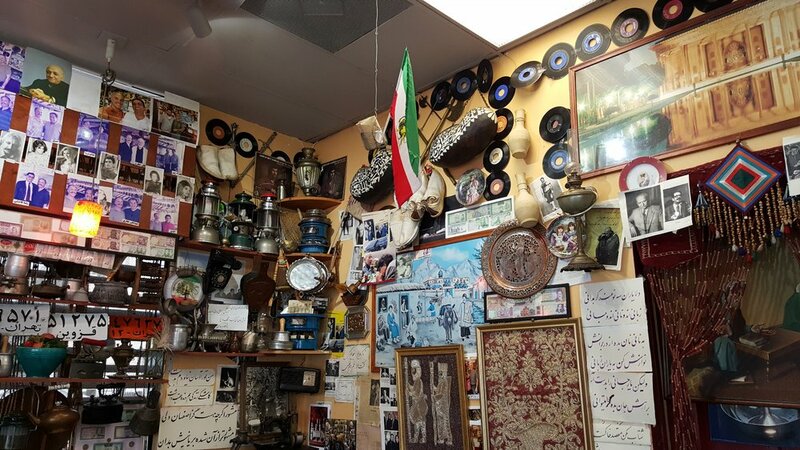 The store is filled with memorabilia such as Sufi memorabilia, folk Iranian clothing, and countless photos of famous Iranians. Call ahead to make sure they are serving beryani, as it’s usually only available on weekends. The final stop on our whirlwind tour of Tehrangeles is Irvine. Technically not in LA – it’s actually a distant suburb in far-away Orange County – Irvine gets a mention here because it is home to a somewhat different kind of Iranian community less interested in the fancy parties of Beverly Hills, the late-night outings in the Valley, or the fights over parking that unite (and divide) them all. Irvine is home to Iranians who either got tired of traffic and fled for the suburbs or those who recently arrived from Iran and opted for a less-ideologically complex neighborhood of LA to settle in. While monarchists take their politics seriously in the rest of Tehrangeles, in Irvine there are a lot more recent immigrants motivated less by ideological fervor than they are by the desire to improve their economic lot. Folks here tend to be a bit more low key as a result, and honestly Irvine’s not the best place to visit if you’re looking for Tehrangeles. However, if you do make it down to Irvine, there is one thing that absolutely every Iranian will insist you must stop by: Wholesome Choice. This place is like the Holy Grail of Iranian supermarkets, a stunningly well-organized, healthy, organic, suburban LA version of Tehran that provokes jealousy from even the most ardently urban Tehrangelenos. While LA Iranian supermarkets compete in who can feel more like a “bazaar” than the other, Wholesome Choice has realized Whole Foods is the way of the future and has gone all out to Persianize it. They’ve also built in a mini food court with Chinese, Indian, Mexican, and – obviously – Iranian food, in case you need your kabob fix take away. You can even find a liquor called araq – which, unlike its Arab counterpart, in Iran refers to homemade vodka – that is made in Orange County! In Iran, people joke that araq is the drink of choice because everything else is too expensive to smuggle; but in Irvine, they’ve managed to make even homemade booze seem classy. Say what you will about Orange County and its gargantuan, traffic-infested freeways and office parks, but that’s a pretty big accomplishment. The other best time to visit is 13 days after Nowruz on the holiday of “Sizdebedar,” when Iranians traditionally gather en masse in parks, mountains, and any other green space they can find for a day-long picnic festival. Every year a number of parks across LA host tens of thousands of Iranian revellers – with some even topping 100,000 – and Irvine’s gigantic Mason Park is one of the legendary spots. Famous Iranian singers set up stages, families bring carpets, samovars, and massive to-go Persian feasts, and everyone spends the whole day having the time of their life. A must-see if you’re in the area. This has been but a brief taste of the richness of Iranian-American life in Los Angeles, an attempt to offer the intrepid visitor a sense of the varied geographies of the capital of the Iranian diaspora. Of course, Iranian-American life today is far more than what has been presented here; but if you’re looking to get a taste of modern Tehrangeles and its beauty/glory/weirdness, these are a few places to start. As a Tehrangeleno myself, everything I have written is filled with utmost love and respect for my community, a community that survived a revolution and managed to rebuild itself in exile thousands of miles away from their homes. Nurtured on the dreams of an Iran of their memories and nostalgia, they have created a world unto itself, a place that hardly resembles pre-1979 Iran anymore than it resembles post-1979 Iran. And the result has been something, unexpected, and, yes, even beautiful. We hate you, we love you, but at the end of the day, we can’t get away from you. Here’s to looking at you, Tehrangeles. Great tour! But what about Cabaret Tehran?